The disciples, who surrounded Jesus during his ministry here on Earth, could truly meet the Lord and experience the healing touch of his love and mercy. We might naturally be lead to think that they were very much a separate privileged group. While this might be true on one level, we are all in fact given the same wonderful opportunity to encounter Jesus. 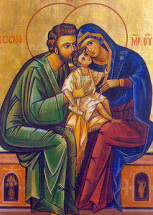 The Church is often spoken of as the Body of Christ, of which the Lord himself is the head. It is precisely in and through the Church that Christ continues to act very much like he acted when he walked this earth. Yet now his presence is even greater and no longer confined to a specific location. His presence is truly universal. 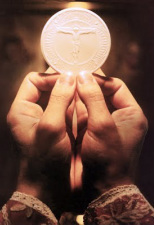 These unique actions of Christ we all have the opportunity to encounter in our life are more formally referred to as Sacraments. In them Christ accompanies and leads us through all stages of our life so that, when our end finally comes, we can all finally meet him truly face-to-face. Baptism is the door to all the other Sacraments and the basis of the whole Christian life. In baptism Christ washes us clean of our sins and we become members of Christ. We are incorporated into the Church and are made sharers in her mission. Just like Mary Magdalene, in the Sacraments of Reconciliation we all experience the awesome mercy of God. We encounter Jesus who, with the words: "your sins are forgiven, go in peace", restores us to our true dignity and brings us back to His fold. 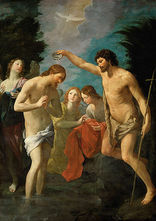 Confirmation and Baptism go hand in hand, as Confirmation completes all those gifts that we have received already in our Baptism. 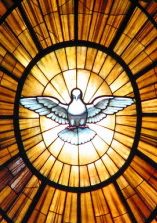 Through the power of the Holy Spirit we become more strongly united with Christ and more fully members of his body - the Church. Christ's compassion towards the sick is evident even in the Gospels. 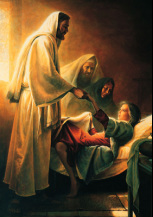 In this Sacrament we encounter Christ the Physician. Yet He does not only come to heal the body but also the soul. Thus, even if bodily healing itself is not according God's will, we will never be truly alone. Some are called to serve Christ by a very special sharing in His Priesthood. A man ordained as priest is configured to Christ and is sent out to bring him into the world. 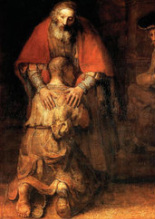 He especially makes Him present at Mass or, for example, by acting as a vessel of his forgiveness in the Sacrament of Confession. As members of Christ's Body in Baptism (and more fully through Confirmation) we are invited to Lord's Supper, at which Jesus feeds us with his own self. God lowers himself to our level so that he might lift us up. Isn't this the whole mystery of God's salvation? Marriage is one of the great callings in life. It is the union of a man and a woman for procreation and the good of the spouses. This natural bond was raised by Christ to the dignity of a Sacrament, so that the love they share may come to share in Christ's love for His Church.